It seems with the latest AMD WHQL Catalyst 13.9 Drivers and the newer AMD Catalyst Beta Drivers, it seems AMD has quietly dropped support for Windows Vista. They have either dropped support, or have moved it to legacy status. Their has been no offical comment on the matter from AMD. However, no mention of Windows Vista has been on any release since Catalyst 13.4. Furthermore, when trying to install the Catalyst 13.9 or the latest Catalyst beta driver on Windows Vista, it will result in installing Catalyst Control Center, but it won't install or list any driversin the driver installation program. Luckily, there is an easy workaround. Disclaimer: I am not responsible for anything that may happen to your PC when using this method. 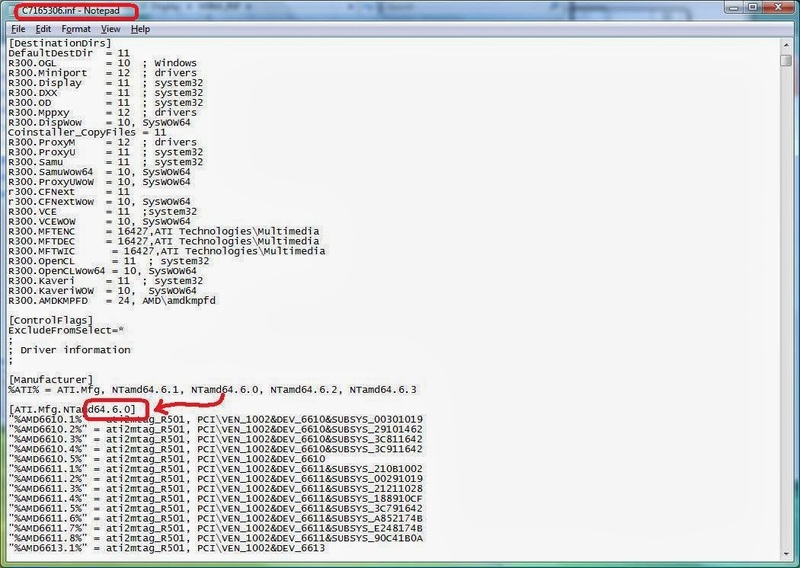 This method is NOT officially supported by AMD. You use this method at your own risk. You are solely responsible if anything goes wrong. Please remember to back up your computer before attempting this. 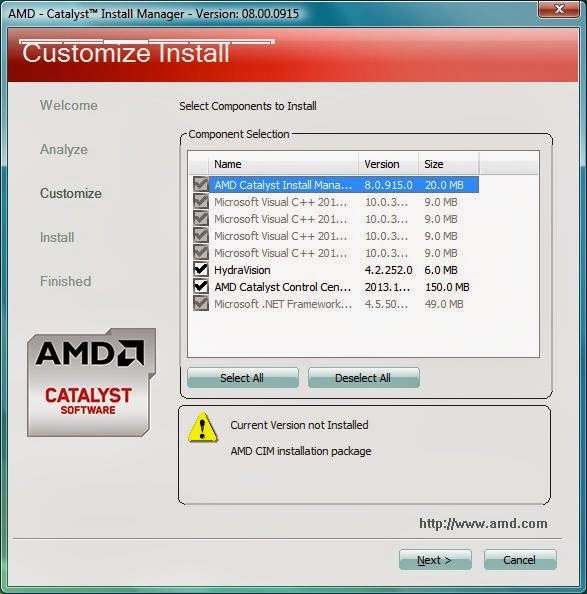 Step 1: Download the Latest AMD Catalyst Beta Driver 9.5 and save it to your desktop. Step 2: Run the Catalyst Beta install program, choose Custom Installation, and install everything that is check marked. (You will notice the drivers are not included, we will get to that soon) When installation is finished DO NOT OPEN CATALYST CONTROL CENTER YET. It will appear in the notification area, just ignore it. 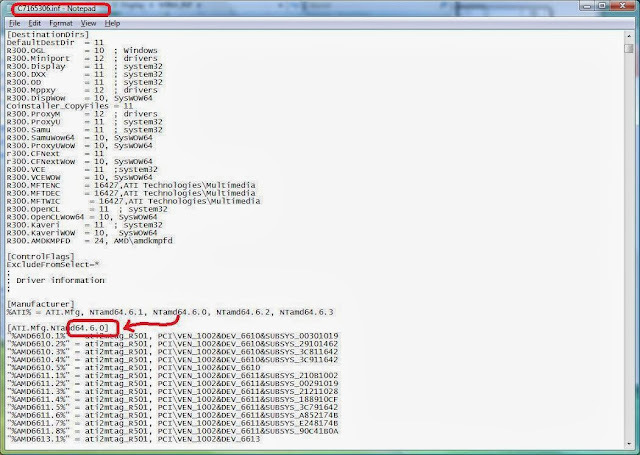 Step 3: Once installation is finished, navigate to the following directory depending on your version of Windows Vista. For Vista x64 and beta 9.5, you need "C:\AMD\AMD_Catalyst_13.11_BetaV9.5\Packages\Drivers\Display\WB6A_INF\C7165578.inf"
For Vista x86 and Beta 9.5 you need "C:\AMD\AMD_Catalyst_13.11_BetaV9.5\Packages\Drivers\Display\WB_INF\CB165578.inf"
Find the line in the inf file that restricts it to Windows 7 or greater, and change it to support Windows Vista. (open it in notepad) You only need to change 1 character in the inf file...change 6.1 to 6.0. Change the following line from: Only Change the bolded part. Now save the ini file and close the file. 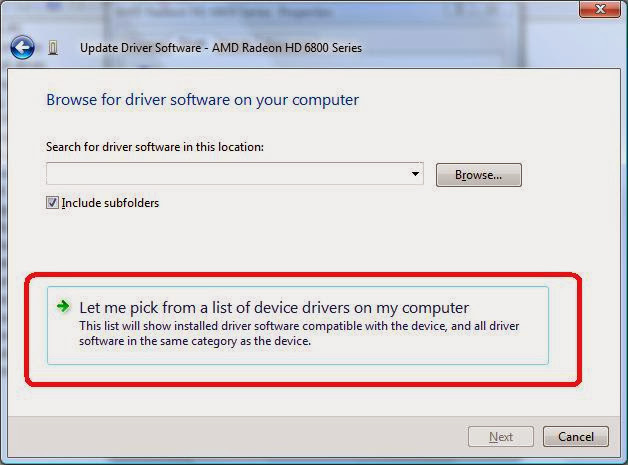 Step 4: Open Up Windows Device Manager, and double click on your graphics card to bring up the dialog. 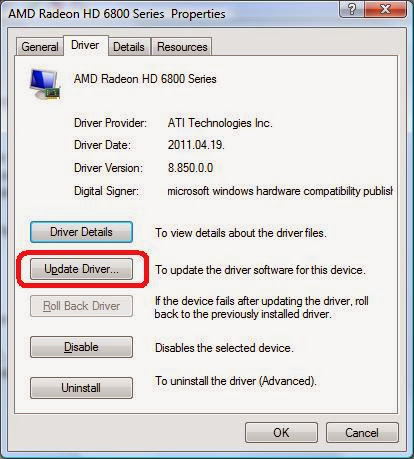 Click Update Driver. 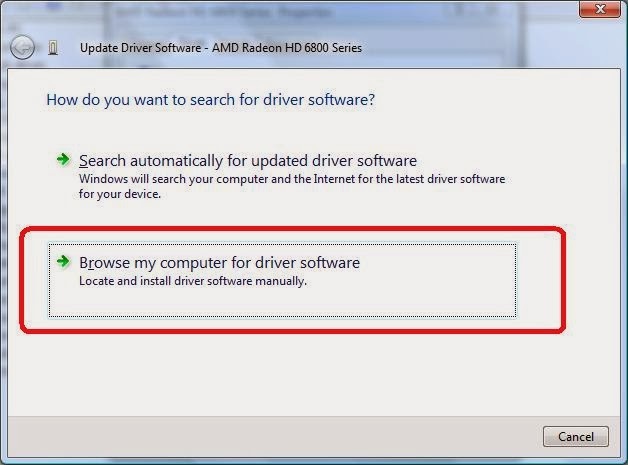 Next Choose "Browse My Computer for Driver Software"
In the next dialog choose "Let Me Pick From A List Of Device Drivers On This Computer"
Now in the next dialog click "Have Disk"
Now browse to the modified inf file we changed in Step 3 and install the display drivers through it. 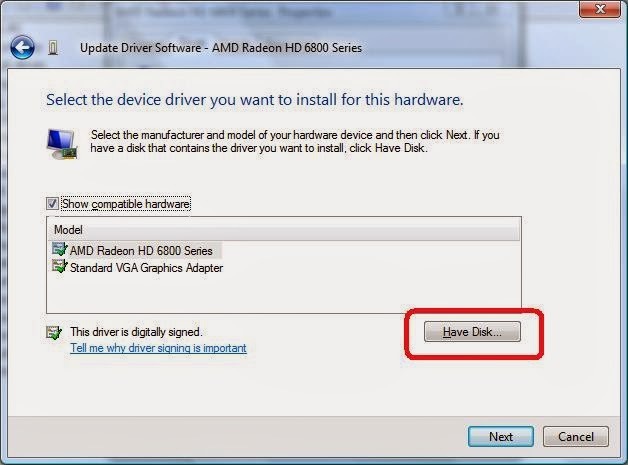 The drivers will appear unsigned, you'll need to confirm the installation. Don't worry, just proceed when asked. When its finished, reboot your PC. I have had no issues with these latest Beta Drivers on Windows Vista SP2 x64, but as always, YMMV. I hope this helps those out there with AMD graphics cards that use Windows Vista and just are not ready to upgrade, perhaps don't have the money, or just don't want to upgrade yet. 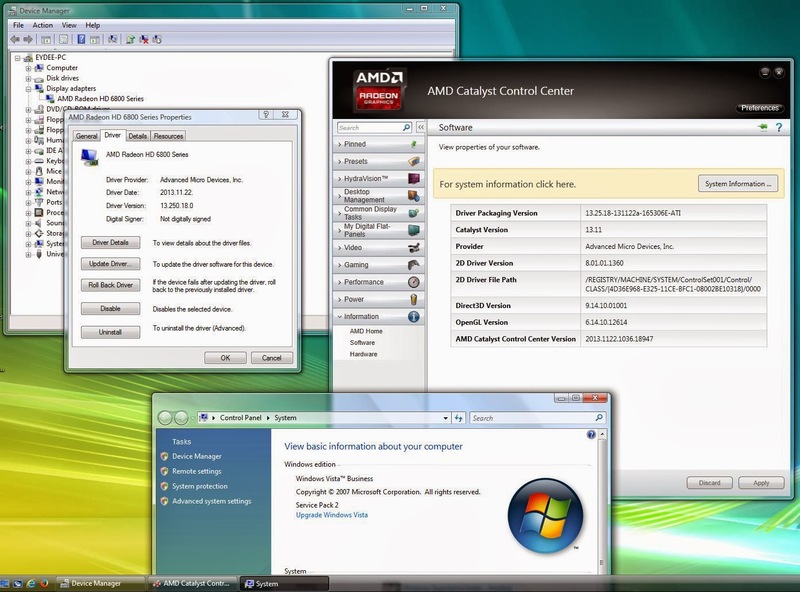 This method works right now for all AMD cards that are supported by Windows 7.